Minette and I love the way Petra helps people build their online programs: by first asking them about their ideal clients, their learning styles and their learning blind spots, and how to engage people according to their learning style. We had an in depth discussion about the ins and outs of building online programs and engaging learners. Petra leads people through a process to develop the online programs that helps them understand the Why first. She has an event coming up in October 2017 – The Big Leap Bootcamp in Vancouver – to help you get your program underway. With more than 20 years of experience in the corporate world and her private practice, Petra Mayer is a business strategy coach based in beautiful Vancouver, British Columbia. Petra lends her expertise to coaches, consultants and service-based professionals who need help turning their vision into action, specifically to create a signature system of online courses and group programs. 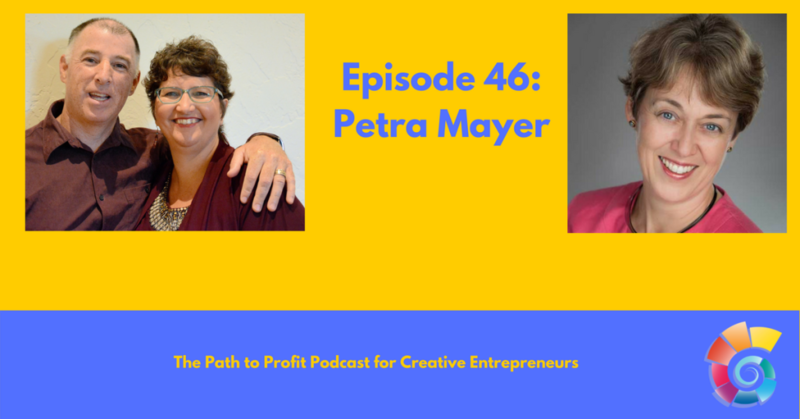 Through a systematic approach, Petra helps her clients gain clarity and overcome barriers in order to create an online presence that attracts their ideal clients and result in the freedom entrepreneurs seek in their business. It was such a blast to be on your show. I can’t wait to do this again! I hope everyone here will get value from our discussion and I’d love to support you with any questions you might have. Ping me on FB, LinkedIn, or via my website! Great to have you as a guest sharing your genius, Petra. We look forward to talking tech next time.